Apologia Educational Ministries: The Ultimate Homeschool Planner My Review. | My Journeys Through Life . . . Herding Cats In New Mexico! Apologia Educational Ministries: The Ultimate Homeschool Planner My Review. I have reviewed products from Apologia Educational Ministries in the past however, those reviews were for curriculum products. Now though, I’ve been given for review something completely different. 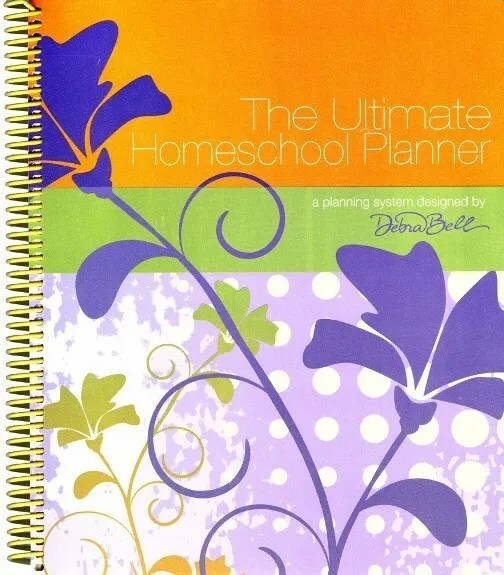 This is the Ultimate Homeschool Planner, which was designed by Debra Bell. This planner is very nicely made. It has an attractive vinyl cover in one of three colors: yellow, orange and blue. For my review, I received the planner with the orange cover. Right away, I was attracted by that pretty, pretty cover, lol! Among the first things I noticed were the sturdy pockets on the inside of both the front and the back covers, which would be great to keep your child’s weekly papers in. I have four kids though, so I will need to find another use for them, because I would have them ripped right off the cover in no time with that many kids, lol! There is a nice welcome letter right at the beginning, talking about the reasons this planner was designed in the first place, followed by a very thorough Table of Contents. I especially like that there is a fairly extensive user’s guide right at the beginning, explaining what to do with each section, and the purpose behind them as well. This section begins with one of my favorite illustration stories, about a professor with a jar, rocks, stones, sand and water, illustrating that we need to put the big rocks of life in first, or we won’t get them in at all. If you follow the precise instructions in this planner, you will be starting with a 4 to 8 hour yearly planning session. The user’s guide tells you exactly which pages in the planner you will need for this, and the purpose for doing it. It also gives you very good ideas for how to personalize it based on how the previous year, what didn’t work, what you want to accomplish in the coming year, etc. Also in the user’s guide is a section regarding your approximately 2 hour monthly planning session. Again, you are told exactly which pages you will need for this. Here, we have the chance to block time for family things, make changes to your plan, etc. There are a lot of really great ideas for the use of this planning session! There is also a section for Weekly Planning Breaks, about 30 minutes. Some of the purposes here are thinking about God’s faithfulness, working out your battle plan for the coming week, and committing it to the Lord. This is also when you will find your weekly grid pages for planning your days with your children. My orange planner allows for up to six children. Still in the user’s guide, we have next the suggestions for Monday Morning Tutorials, about 20 minutes per child. This is to help children learn time management skills, go over the week’s assignments, encourage and pray with the child. Lastly, we have Friday Afternoon Reviews, about 15 minutes per child. The purpose here is to teach the child accountability and to offer feedback. After all of this information is given (in only the first 8 pages, mind you! ), there are NINE pages of illustrated examples for each and every bit of information given in the user’s guide. I don’t know about you, but having the visual is a help to me. There is a section for keeping scores, if that is of importance to you. I don’t test, nor do I keep scores, but I know that many homeschoolers are required to do so. Something I love is the Reading List section, in which there is a space for up to six students to record title, author and type of the books they read. As an avid reader myself, I think this is very important! It also has a nice little legend for the books to be marked as assigned, independent, nonfiction and fiction. There is a similar section to record all of their field trips and/or outside activities. At the end of my planner, I found some very good teaching tip articles, along with ways to figure out your child’s learning style. There is a chart to help you and your teen map out their high school years, and finally, a nice, two page year-end review section, which is a good way to go over what worked, and what didn’t. One other thing I enjoy about the planner is that it is filled with quotes that were encouraging and helpful. There are also Bible verses sprinkles throughout however, as my readers already know, my family uses only the KJV Bible, so I wish this could be offered using it instead of other versions. Apologia is a great company, and I recommend this planner to any homeschool parent who loves a definite plan. 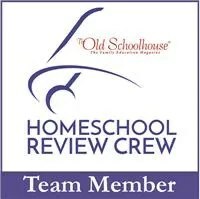 To see what other crew members thought, please click the banner below. As always, I would love to have you join me on all of my “Journeys Through Life.” Just go to the “sign me up” space at the top of the blog and enter your email, and you will always know if there is something new going on. Hope to see you! Pingback: Exploring Creation with Human Anatomy and Physiology: Review | My Journeys Through Life . . . Herding Cats In New Mexico!